Click here for a schematic view. 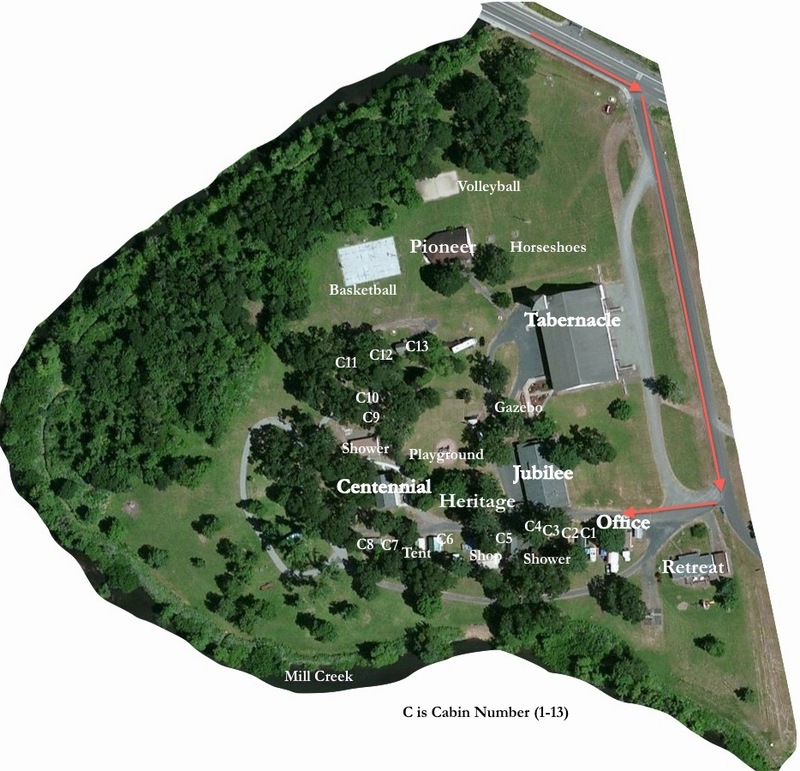 The buildings include the Tabernacle, Jubilee Lodge, Centennial Lodge, the Retreat House, 13 cabins, a canvas cabin, two shower/restroom buildings, Heritage House, an office, a registration hut, an A-frame, a shop, and Pioneer Lodge (currently closed). In addition to the buildings there are RV spaces, two playgrounds, a gazebo, a sand volleyball court, a full sized basketball court, horseshoe courts, swimming in the creek, and acres of grass and trees. The entire grounds are available for Rental.